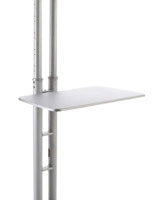 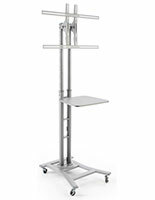 This silver add-on tv display shelf is designed to attach to our MB series line television and monitor stands. 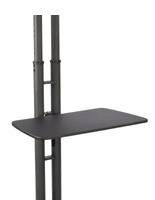 Each 19.5" wide shelf features a slightly tapered design that is 15.75" deep. An add-on tv display shelf is perfect for holding laptops, tablets, DVD, CD or other media players as well as merchandise or presentation accessories. 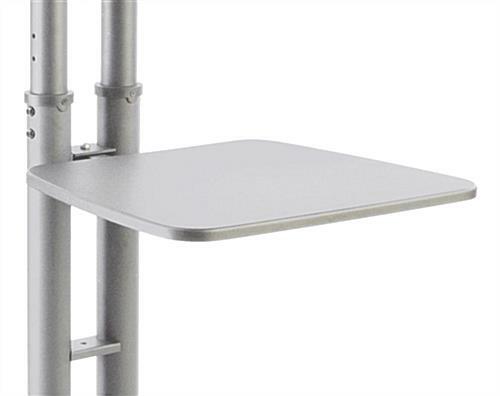 The versatile television stand accessory is a great addition to fixtures used at trade shows, conferences or other off-site meetings. 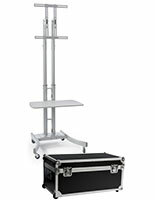 The tv display shelf is constructed from lightweight but durable MDF with a neutral finish to match MB series fixtures. The 19.5" accessory is designed for easy attachment, and comes with a wire clip for organizing cables. 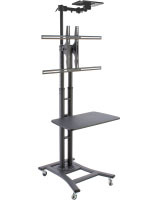 32.0" x 0.625" x 15.8"